Today I am the grateful recipient of an OtterBox 2000. I was given it by the OtterBox company to protect my Nokia N810 and since there is some extra space in there it’ll also be keeping my stash of memory cards safe and dry too. 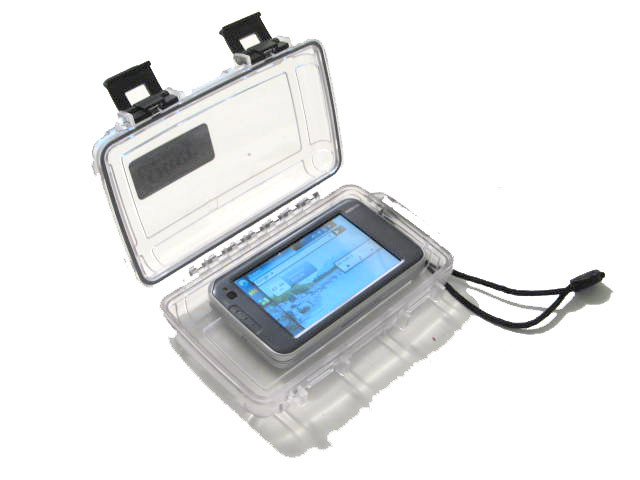 I got the idea from OHararp LLC who use the boxes to protect their GPS units so I’ll actually be carrying two Otter products across Japan. 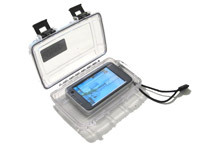 OtterBoxes are water waterproof, crushproof and airtight. Which is handy for two very good reasons. Just two weeks into my PCT walk I smashed the screen on my PocketMail device. It cost me $90USD to replace and I was not happy. I was very careful with the replacement but only wrapped it in a drysack. Japan is definitely going to be wetter than my time in America so I’m glad I can rest easy with my new device totally protected from the elements, especially when those elements include my fumbling around in my tent and standing on delicate electronics.Many thanks to OtterBox, I promise to put it through it’s paces.